The morbidity caused by excessive alcohol consumption, effective screening tools, brief interventions, when to refer and the prognosis for patients. Excessive alcohol consumption is one of the leading causes of premature mortality and morbidity across the world, with the WHO placing it third on its list of risks to health. The WHO classes drinkers as low, medium, high and very high risk, but in the UK, the DH categories are non-drinker, low risk, hazardous, harmful and dependent, with dependent divided into mild, moderate and severe. The DH categories are used in this article, but it is worth being aware of how these relate to the WHO classification. Studies indicate that when clinicians suspect a patient has an alcohol problem, they are often right, but also show that most problematic alcohol users are missed by doctors relying solely on clinical acumen.5 For this reason, it is important to use appropriate screening tools. The gold standard screening tool is the Alcohol Use Disorders Identification Test (AUDIT), which comprises 10 questions looking at the frequency of drinking, the amount consumed and some harms associated with this. A number of shorter screening tests have been used in primary care, such as FAST, CAGE, AUDIT-C, AUDIT-PC, M-SASQ (useful where time pressured as it is a single question) and MAST. The important point is that if any of these tests are positive, a full AUDIT should be performed. For this reason, I prefer to use AUDIT-C (see table 1) because it contains three questions from the full AUDIT, so there are only seven more questions to ask if a full AUDIT is required. How often have you had six or more units if female, or eight or more if male, on a single occasion in the past year? The score generated by the AUDIT helps to categorise the risk for that individual and allows clinicians to tailor appropriate interventions to try to reduce this risk. It is important to note that scores over 20 do not diagnose alcohol dependency, but there is a need to assess these patients to see if they may be dependent on alcohol. Useful tools to do this are theSeverity of Alcohol Dependence Questionnaire (SADQ) and the Leeds Dependency Questionnaire (LDQ). It is important to remember that among dependent patients, mild dependence is most common, and it is worthwhile identifying and offering treatment at this stage, because these patients will not need medically assisted withdrawal. If successfully treated, they stand a good chance of avoiding the serious health consequences seen in more severely dependent patients. Looking at the ICD-10 criteria of dependence,6 it can be seen that dependence can exist without a physical withdrawal syndrome and this defines the difference between mild dependence and the other categories. Those identified as being at higher risk or mildly dependent may not want to aim for total abstinence and in these cases, it is appropriate to consider psychosocial and prescribing interventions aimed at reducing their alcohol consumption. Most of the harm associated with alcohol use is dose related, so there can be significant gains from working with patients to lower their consumption, although moderate and severely dependent users should always be encouraged to aim for total abstinence. 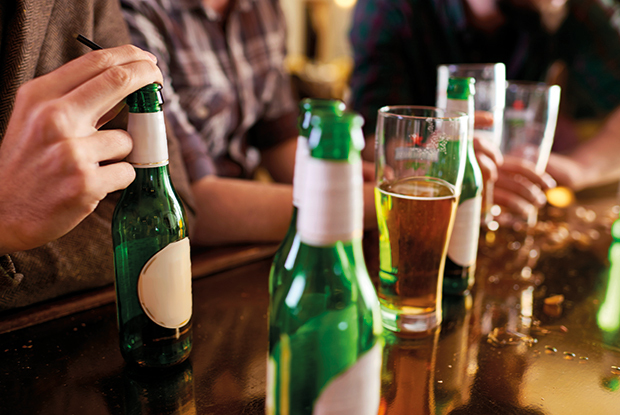 A number of psychosocial interventions, sometimes referred to as brief interventions, can support patients in reducing their alcohol consumption. These include Identification and Brief Advice (IBA) or Motivational Enhancement Therapy, also known as motivational interviewing. If the AUDIT suggests harmful drinking, a physical examination, including BP and abdominal examination, would be appropriate and GPs may also want to request blood tests for FBC and LFTs, including gamma-glutamyl transferase (GGT). However, these have a low diagnostic value and if they are normal, it does not preclude a significant alcohol problem. If they are abnormal, action is needed. These patients will need more extended psychosocial interventions and an alcohol counsellor often best provides these. Patients with moderate or severe dependence will have a physical dependency on alcohol and are at risk of serious withdrawal symptoms if they suddenly stop drinking. They should be prescribed thiamine to minimise the risk of Wernicke’s encephalopathy. If they are not contemplating medically assisted withdrawal, oral administration is suitable, but it should be divided into three to four doses per day because absorption is poor. Adequate doses of thiamine will provide some neuroprotection in the event of a sudden unintended cessation of alcohol, such as illness, spending time in custody or lack of money. 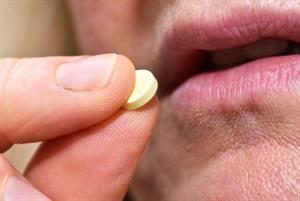 Some clinicians also advocate the provision of vitamin B complex. For those patients who request medically assisted withdrawal, consideration should be given to parenteral thiamine (usually IM in the community). Modern preparations have a low anaphylaxis risk and can be given in a primary care setting with the same anaphylaxis provision as for routine immunisation. Medically assisted withdrawal can take place in a secondary care or a community setting (for example, in a patient's home by specialist alcohol teams, or in general practice). Community settings are more cost-effective and as long as there are no contraindications (see box 1), this should be the first option. Where there are concerns about the suitability of community-based detoxification, referral for residential treatment should be considered. Medically assisted withdrawal involves the provision of a depressant drug (usually chlordiazepoxide or diazepam) to damp down the autonomic hyperstimulation that occurs when there is no alcohol present. This is weaned down over a period of seven to 10 days (see table 2). The patient will require monitoring for signs of alcohol withdrawal and relapse. It should be remembered that this is purely a technical step and not a standalone treatment. If abstinence is to be maintained, provision of psychosocial interventions before and after withdrawal is paramount. Engagement with support groups, such as Alcoholics Anonymous (AA) or SMART, has also been shown to improve long-term success. This is more likely if suggested, or, preferably, actively facilitated, by the clinician early in the patient’s treatment. Following medically assisted withdrawal, a range of prescribing options can help to maintain abstinence. NICE recommends naltrexone, acamprosate and disulfiram.8 Prescribing these medications also provides an excellent reason to recall patients for review and to provide continuing support. It is well established that reduction in alcohol consumption reduces the risk of many comorbid conditions and the overall disease burden, so it is essential that clinicians try to increase the number of patients who receive treatment. 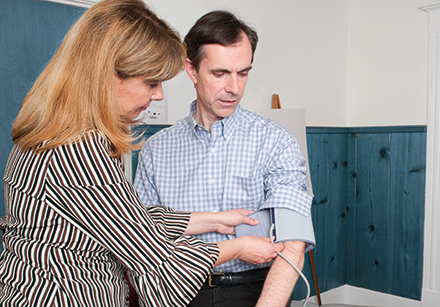 During a health screen, LS, a 45-year-old man, was noted to have a raised BP. 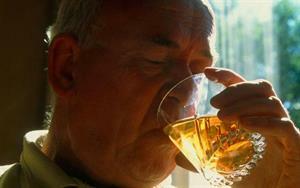 It was also noted that he was drinking 45 units of alcohol per week, but no validated screening test was carried out. Over the next two years, the patient was seen on five occasions because his hypertension was difficult to control and at this point, he was taking three different antihypertensives. He also reported low mood and erectile dysfunction. His LFTs and GGT were normal, but an AUDIT was suggestive of dependence, with a score of 23. On further questioning, there were no signs of physical withdrawal, but the patient met the ICD-10 classification for dependence, because he had a marked compulsion to drink and difficulty controlling his alcohol use when he was drinking. He had been unable to cut down, despite the symptoms he was experiencing. LS was diagnosed as having mild dependence and referred to the local alcohol team, where he had six sessions looking at the effects of his drinking, the risks of this and the benefits of reducing or stopping. He did not wish to stop drinking completely, but made significant reductions in his drinking with this support and his last AUDIT score was eight. 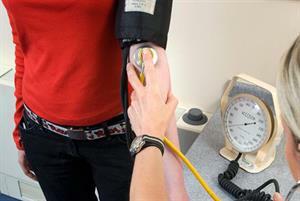 His hypertension became controlled and he did not require the addition of any more medication for this. He also reported better mood and sleep quality. PT, a 68-year-old woman, presented complaining of depression two years after the death of her husband. She was unkempt and frail, and her PHQ-9 screen was suggestive of moderate depression. She said she had been drinking a glass of wine every night because it helped her to sleep. 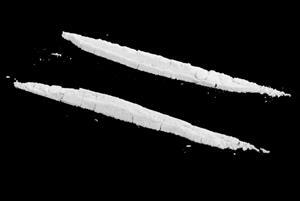 No further assessment of her alcohol consumption was carried out and she was started on citalopram. She was next seen six months later, having fallen at home and fractured her wrist. A bone density scan showed that she had osteoporosis. While discussing treatment options for this, her alcohol consumption was reviewed and an AUDIT was carried out. This gave a score of 28 and on further questioning, there was evidence of physical withdrawal symptoms, with sweating and tremors if she did not have a drink by lunchtime. A SADQ score suggested moderate dependence and she decided she wanted to undertake medically assisted withdrawal, with the aim of becoming abstinent. PT was encouraged to make contact with the local support group and started to attend AA meetings. 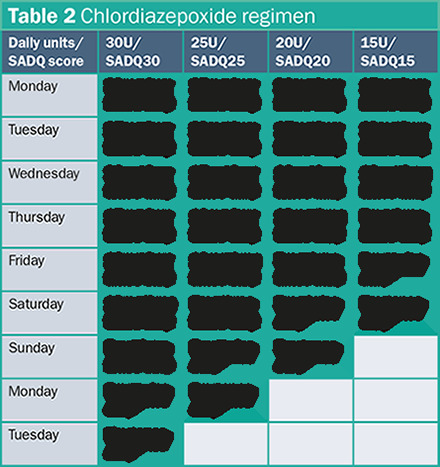 The patient lived alone, so was considered unsuitable for community-based detoxification, but her daughter volunteered to stay with her for the duration of this, so PT undertook a fixed-dose regimen withdrawal prescribed by her GP, with daily visits from the local alcohol team nurse. Following this, she was prescribed acamprosate to help maintain abstinence and saw her GP monthly for three months. At this point she was still abstinent, was attending regular AA meetings and felt she did not need continuing medication, so stopped the acamprosate. Her physical and mental health had significantly improved. Shows the impact of increasing or decreasing alcohol consumption across a range of diseases, including hypertension, liver disease, pancreatitis and a number of cancers. Meta-analysis of studies looking at IBA and showing its substantial impact.